The Sustainable irrigated agriculture in Egypt is threatened by water stress that made the reuse of wastewater an alternative option not only in the sandy desert soils but also in the alluvial soils. 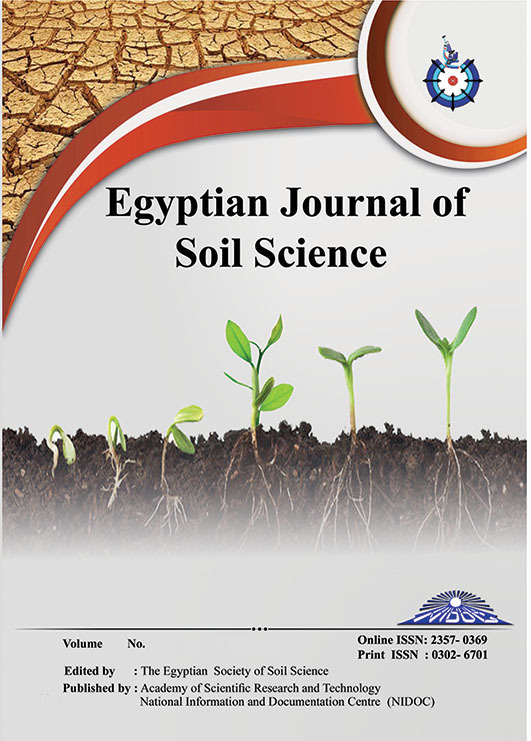 To assess the impacts of long-term wastewater irrigation on soil quality, soils have been irrigated with the effluents of Al-Qalyubia drain beside adjacent Nile fresh water-irrigated soils (reference) , sampled and analyzed. The wastewater irrigation improved fertility status, causing significant increases (P < 0.05) in total N and AB-DTPA extractable P, Fe and Mn compared to the reference soils. However, there was a significant (P < 0.05) build-up in soil salinity and total heavy metals; Cd, Cr, Co, Cu, Ni, Pb and Zn in the wastewater-irrigated soils over the reference soils. The Dutch model indicated that the Nile fresh water remained safe for agricultural production, while the wastewater-irrigated soils could be used under certain precautions. Focal measures are recommended to alleviate heavy metal contaminants to avoid potential environmental risks including mixing the wastewater with the fresh water before use and implementation of proper on-farm treatments.